New unused Jaeger LeCoulter Reverso. It comes complete with box and papers and black alligator strap. Swiss made, stainless steel, manual movement, 43mm, silver dial, black alligator strap, Water resistant up to 30 metres, sapphire crystal glass. 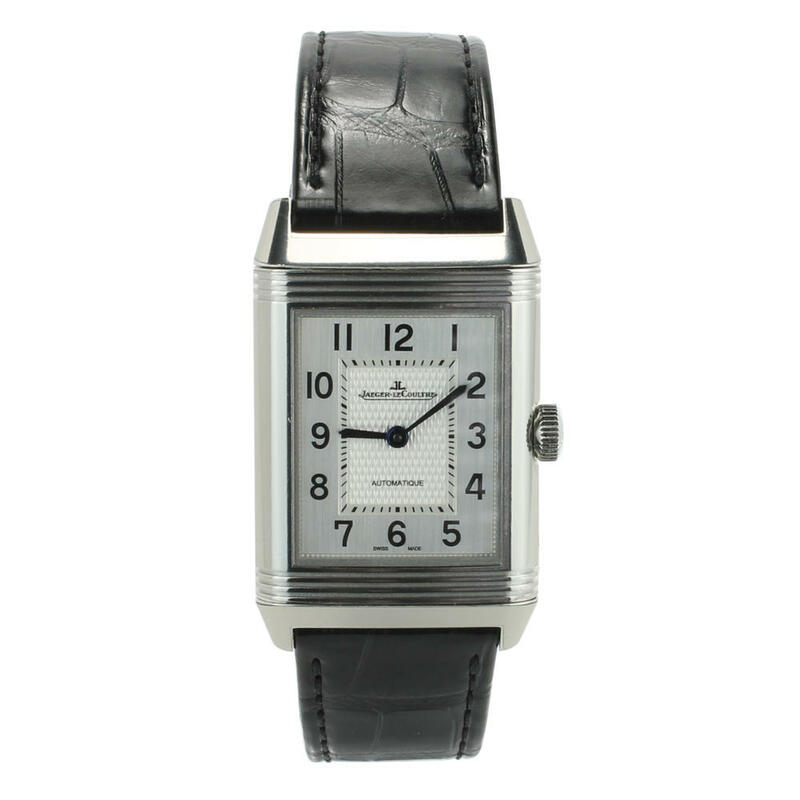 This Jaeger LeCoulter Reverso watch comes with box, papers and warranty.